I’m very excited to welcome debut author J.C. MCKENZIE to my blog today. Her first book, SHIFT HAPPENS, releases this month on the Kindle Select Program. I have the special privilege of being J.C.’s critique partner, and although I was not her CP at the time of SHIFT HAPPENS, I have been fortunate enough to be her CP on the 2nd book in the series. I also got an early read of SHIFT HAPPENS, which personal bias aside, I thought was a wonderful book! Be sure to read through to the end of this post as J.C. is offering a rafflecopter chance to win a copy of SHIFT HAPPENS. So J.C., tell my readers a little bit about yourself. I like walking on moon-lit beaches, chocolate and dark, twisted stories. The unknown fascinates almost as much as the known. I have a degree in Biology, have worked for a marine research company, and I love to play and coach volleyball. ….Bit of a volleyball fan here, too. Do you have a process for coming up with character names and book titles? Character names are always a challenge for me. As a teacher, I’ve come across a lot of names and struggle to find ones that don’t elicit a strong connection to someone I know in “real life.” I also don’t want to inadvertently have someone think I’m writing about them. I sometimes use Scrivener’s name bank, or one of the various online baby name books. In addition to wanting the name to potentially mean something, I try to find ones that allow for nicknames or shortened names as well. As for book titles, I really like double entendres, so I pick out a few key words that my story is about and then brainstorm possibilities. 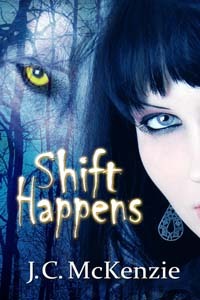 I decided on Shift Happens for my first book when I saw a “Shift Happens” earthquake sticker on the side of my cabinet! …Love it! How about a blurb from SHIFT HAPPENS? Facing many trials and challenges along her path to redemption, Andy learns the value of her freedom might be set too high. …Great blurb, thanks J.C.
3. Pet peeve? Oh gosh, I have so many! I really hate it when people pause in their speech often for dramatic effect. Once or twice is okay, but if it’s every sentence, I’m going to wring your neck or shake it out of you! Well, I’ll keep that in mind. LOL. Thank you so much J.C. for visiting today and much success with SHIFT HAPPENS. J.C. is doing a rafflecopter giveaway, so be sure to click to enter below. 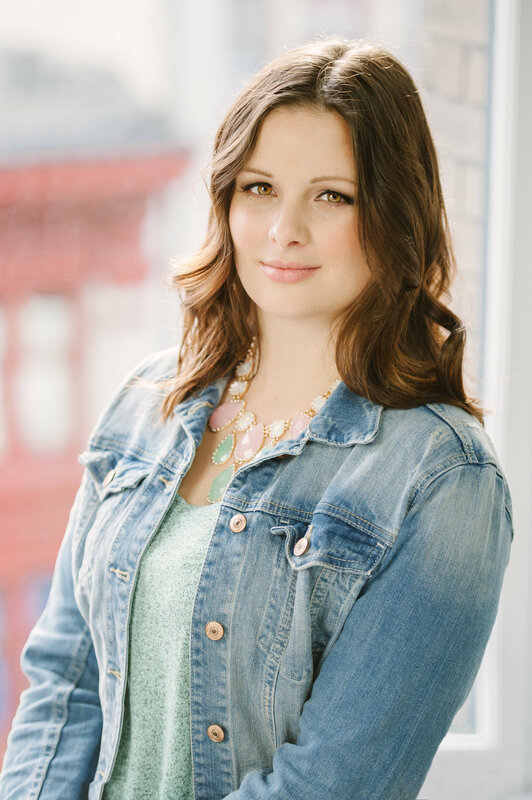 This entry was posted in Charlotte Copper, JC Mckenzie, New Author to Wild Rose Press, Shift Happens, Urban Fantasy, Wild Rose Press by Charlotte Copper. Bookmark the permalink. Thank you to J.C. for her interview and thank you to everyone who stopped by. Thanks again for having me Charlotte! What a fun introduction to you and your work. Good luck-I love your title. From one debut author to another, big congrats and continued success. Love the title. Had to do a double take, though. Thanks Shirley! Huge congrats and continued success as well! Thank you very much for having me on your guest today Charlotte! I loved your interview questions, but found the book one difficult. How on earth could anyone narrow their book collection down to one? It’s the emotional equivalent of a knife to the gut if you ask me! Enjoyed your interview and the blurb – I wish you the best of success with your first release and your series! Best of luck on your series, JC! It sounds great! From a series writing rose, myself. Congrats to you as well for your release of Love’s Battle! I’ll be toasting to our success tonight!.